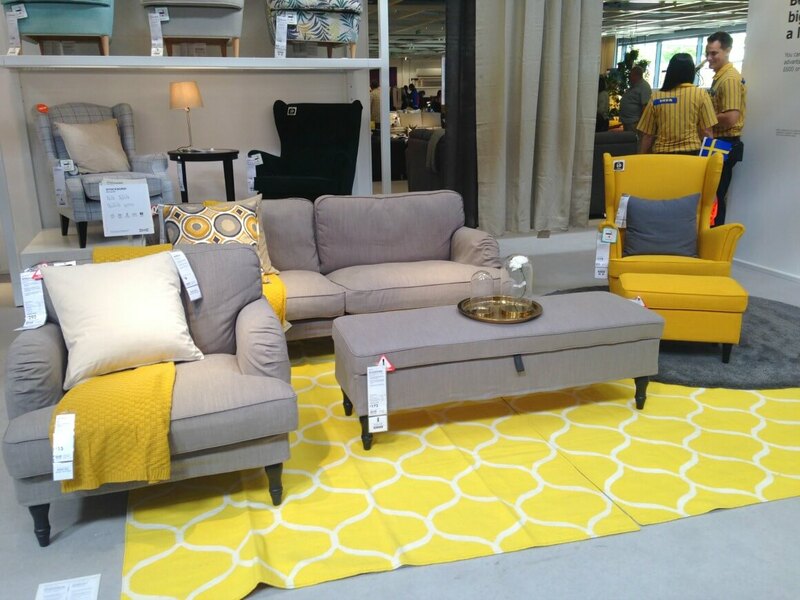 This week IKEA Exeter invited me along to their open day to check out their long-awaited new store. I was intrigued as the Exeter store is their most sustainable store to-date. IKEA Exeter is the retailer’s 21st store in the UK and opened on Thursday 10th May 2018. With an aim to achieve 100% renewable energy with a number of green technologies. IKEA Exeter will also provide six electric vehicle charging points and have electric vans available as part of its home delivery service. 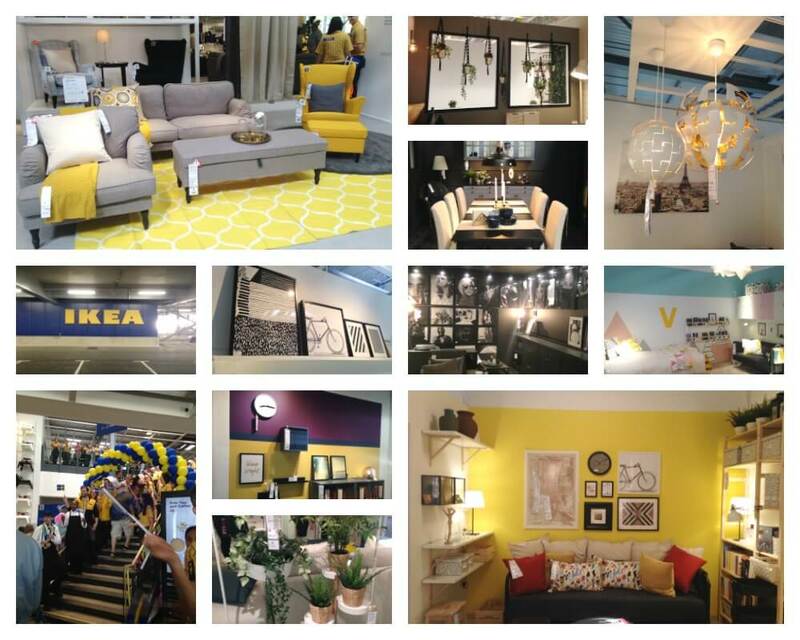 In the run-up to the opening of IKEA Exeter, they held ‘ The Wonderful Everday Tour’ a series of mini-events and installations which gave the people of Exeter and surrounding towns a taste of what was to come when the store opened. Now that the store is open IKEA are holding a number of workshops and events that take place in-store. If you’d like to book a space you can find more information on the IKEA Exeter website. Whilst I was at the store I stocked up on some items that I wanted for our new home. 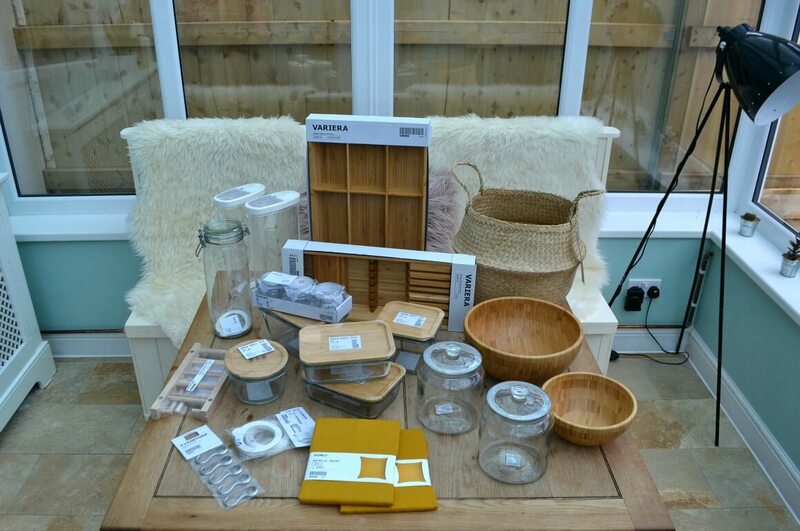 It was mainly home organisation items and lots of glass and bamboo! 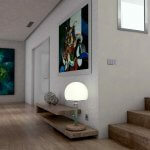 IKEA stocks a great range of sustainable products for your home. Below is a break down of the items I found. 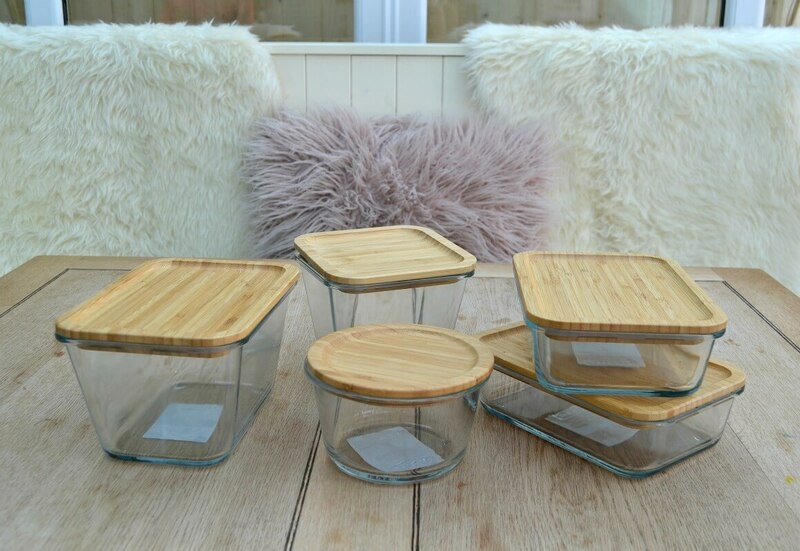 One of the first things I put into my trolley were these glass & bamboo food containers. 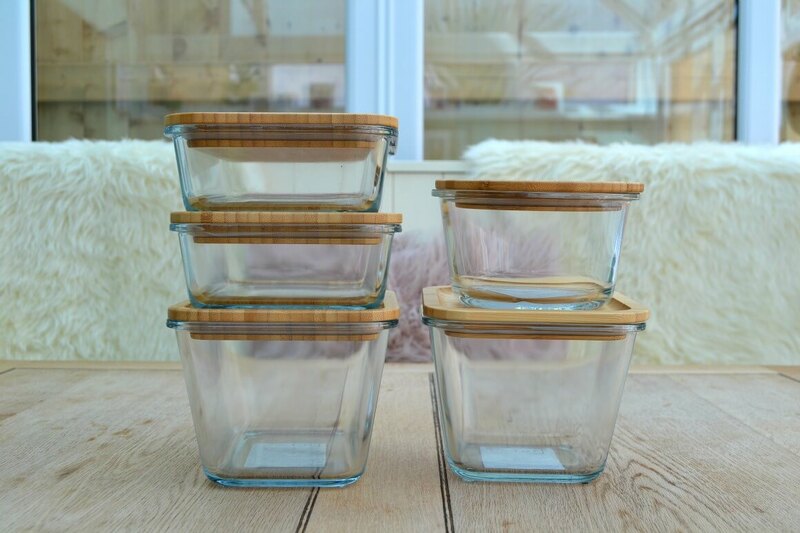 I have been looking for glass food containers for ages but I’ve always been put off by the price of them. I wanted glass so that when we store our leftovers in the fridge you can see what’s in the bowls. I find sometimes if food is in a non-transparent container and covered up we forget about it and then it goes off. I want us to be able to look into the fridge and know exactly what we have and haven’t got without having to route around each time. 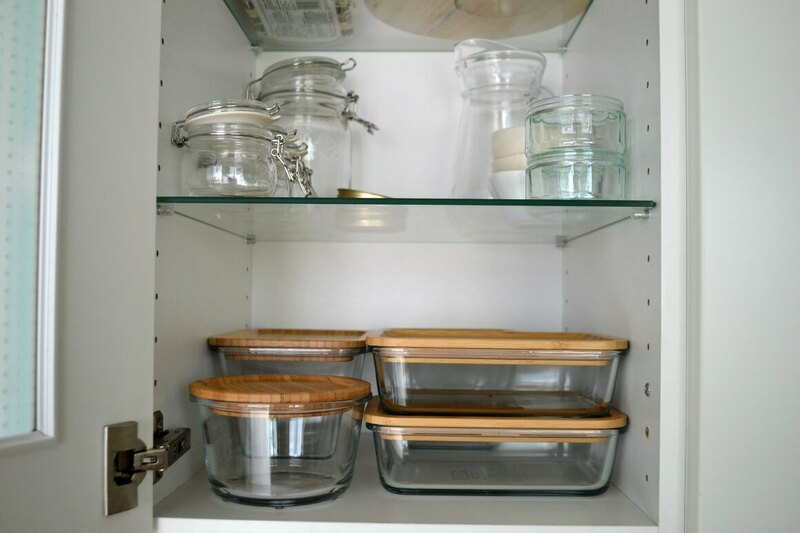 The containers are made from oven-safe glass and have tight-fitting lids to keep your food fresh. They are also much better for you and the environment than their plastic counterparts. 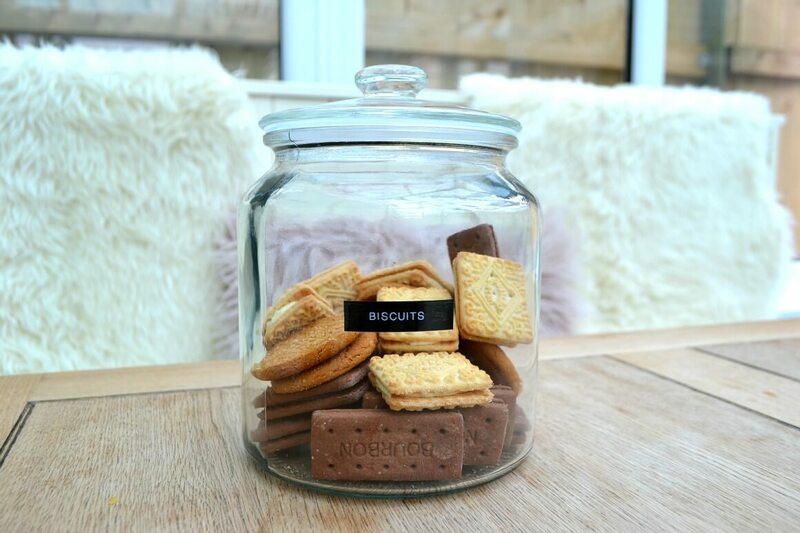 The price of the containers start at £3.25 and go up to around £5 depending on which size you want. I bought a mixture of sizes. If you are a regular here then you’ll already know that I have a bit of a glass jar obsessions. So when I went past the jar section in the store I may have put a few more into my trolley. 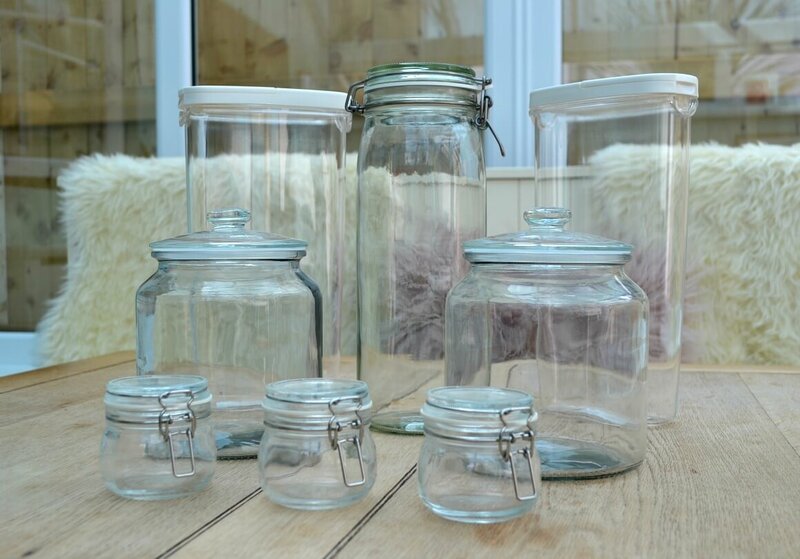 IKEA has a great range of jars and all very reasonably priced too. Prices start from just 95p. I think I’m almost done now with my jar storage for the kitchen. 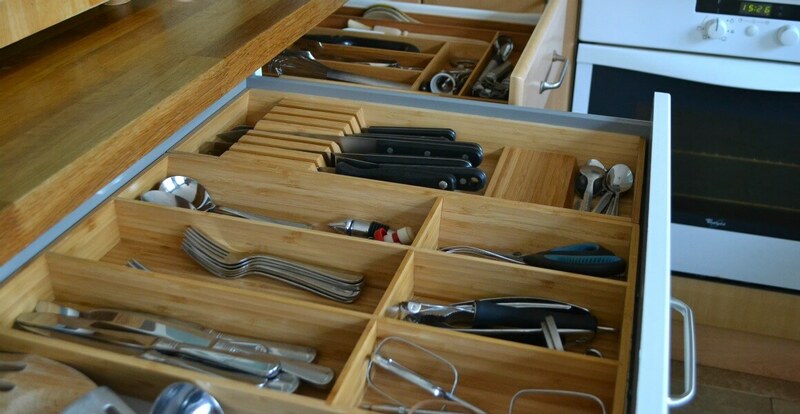 I have this vision that our kitchen will be this uber organised place that is also pleasing to the eye. I’m slowly getting there but now I have to wait until we do our new kitchen to really finish it off. 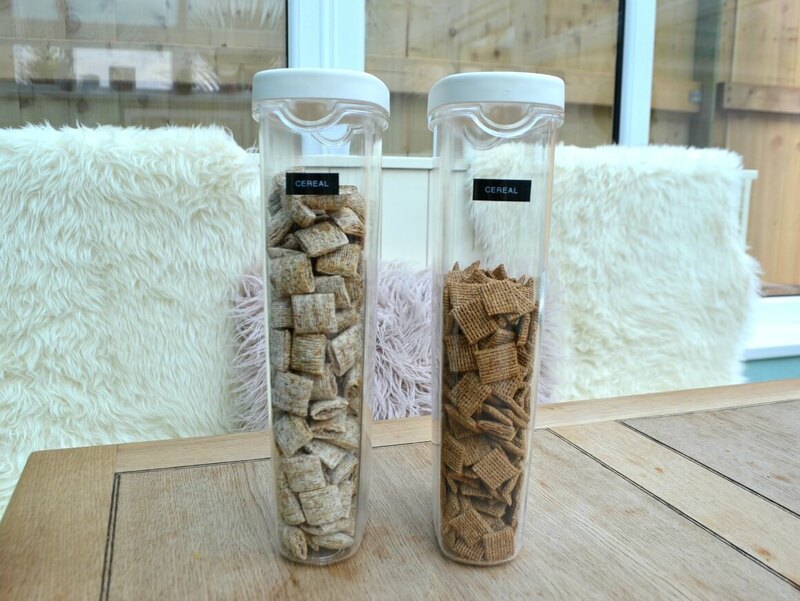 The cereal storage boxes aren’t glass but for good reason. Our kids make their own breakfast every morning and I didn’t want to spend every morning worrying that they were going to drop glass containers. 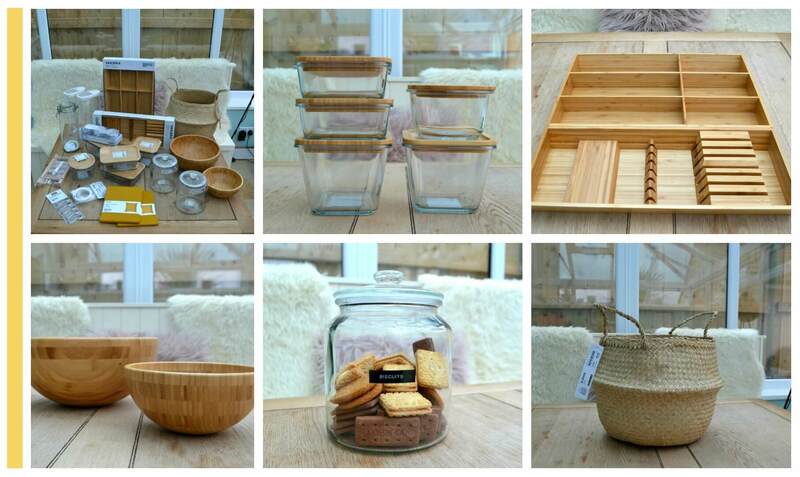 IKEA has a whole range of bamboo products including serving bowls, dishes, chopping boards & cutlery organisers. 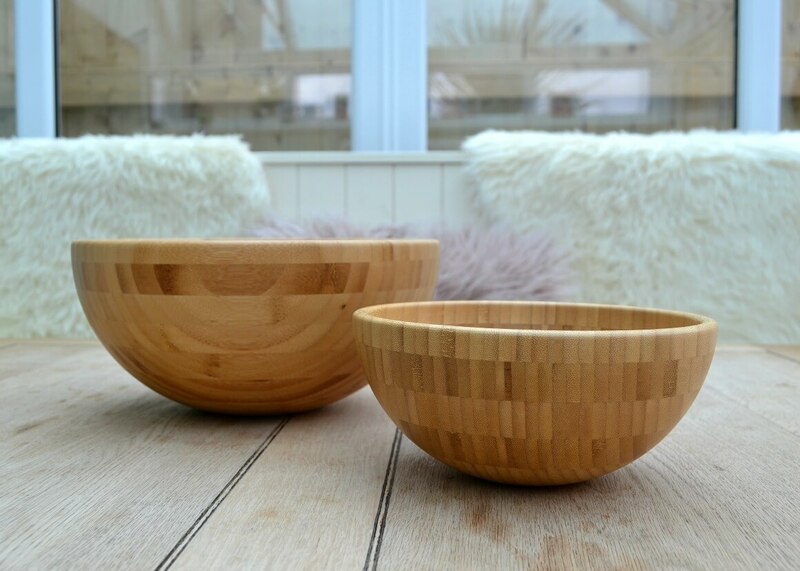 I love bamboo for products as it’s an easy-care and hardwearing natural material and it’s a renewable material. I bought 2 serving bowls as at the moment we currently have a mishmash of horrible plastic ones that we’ve had for years. I wanted something that not only looked great when presented on the table but also is better for us. It’s all part of my whole ‘simplify & beautify our home‘ mission that I’m currently on. I have donated our old bowls to charity as they could still be used by someone else. I also have a rule in our home of ‘1 thing in, 1 thing out’. To remain on top of clutter. The smaller bowl was £7.50 and the larger one was £14. 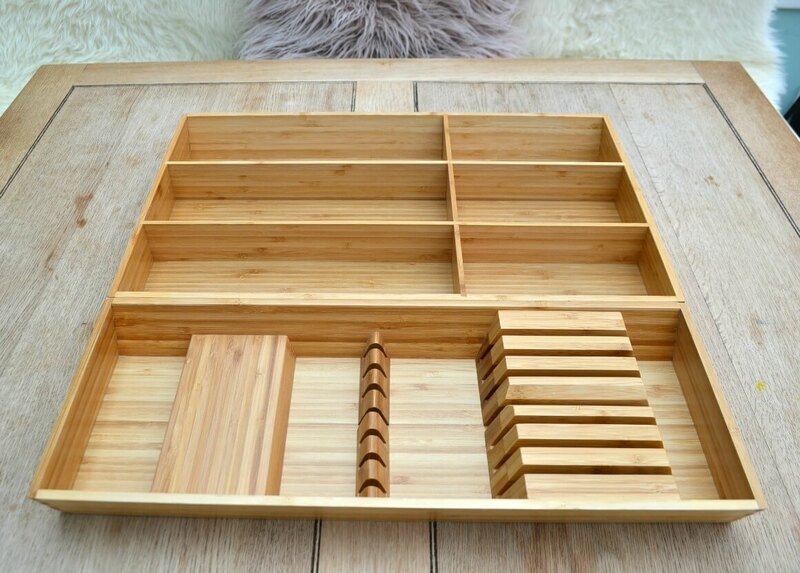 As well as the bamboo bowls I also bought 2 bamboo cutlery organisers. They have two different types and also a knife block one. They are made from 100% renewable material. 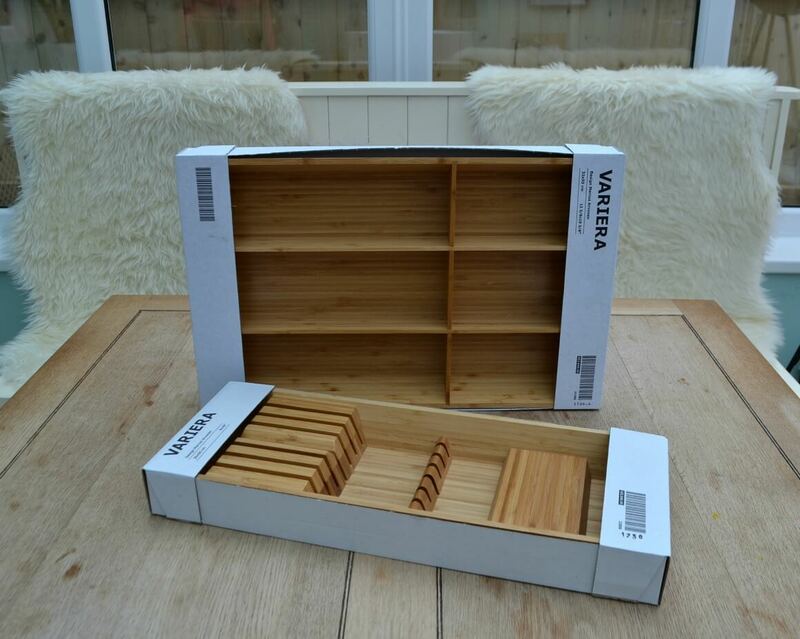 I opted for the smaller of the two trays which were £15 and the knife block organiser was also £15. 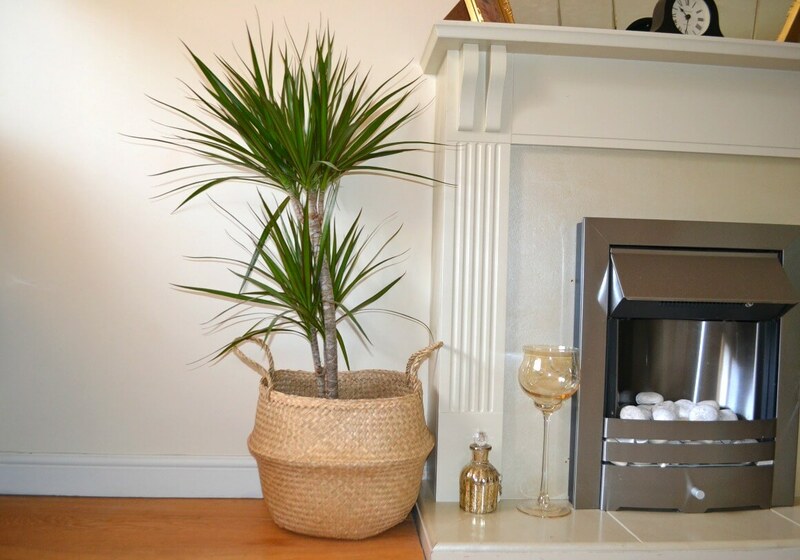 A little while ago I bought a dragon plant for our living room with the intention of finding a large basket for it to live in. I’ve spent ages looking for the right one but not had any success until I found the perfect one in IKEA. It cost £10 and I think it looks lovely in its new home. 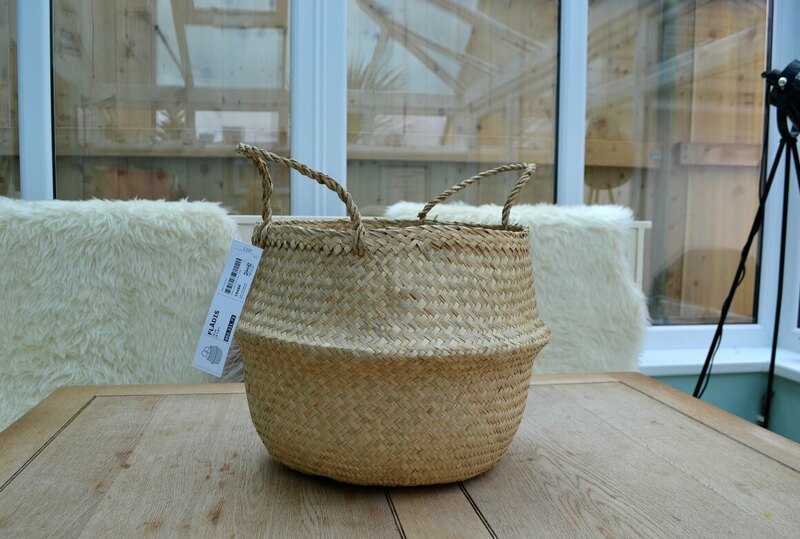 The basket is made from seagrass, 100% renewable material. IKEA has a great selection of wall rails for your kitchen. I wanted one because I plan to hang wire baskets from them with our fruit in them. Going back to storing food where you can see it, I thought this would be a better option for our fruit so it doesn’t get forgotten about. 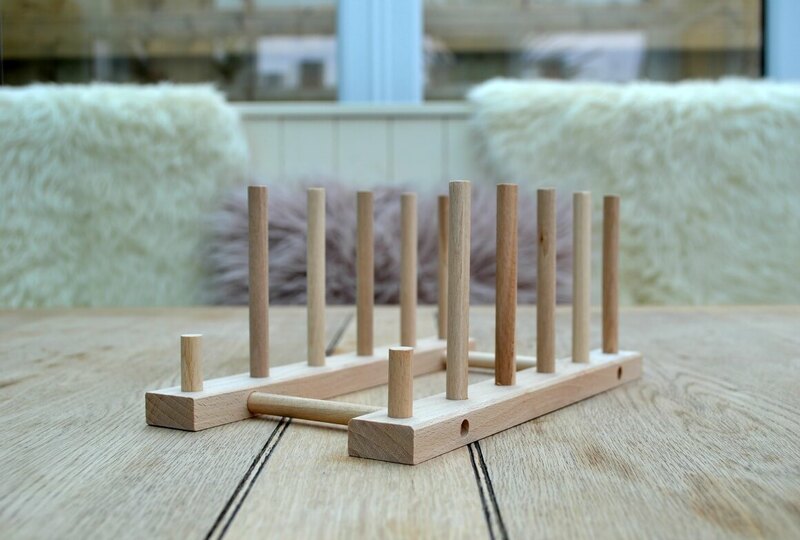 I got the idea from a lady called Hannah Tasker who runs a blog called The Simple Things. She shared an image of her fruit rack on Instagram and I loved it! I plan to do similar in our new kitchen. 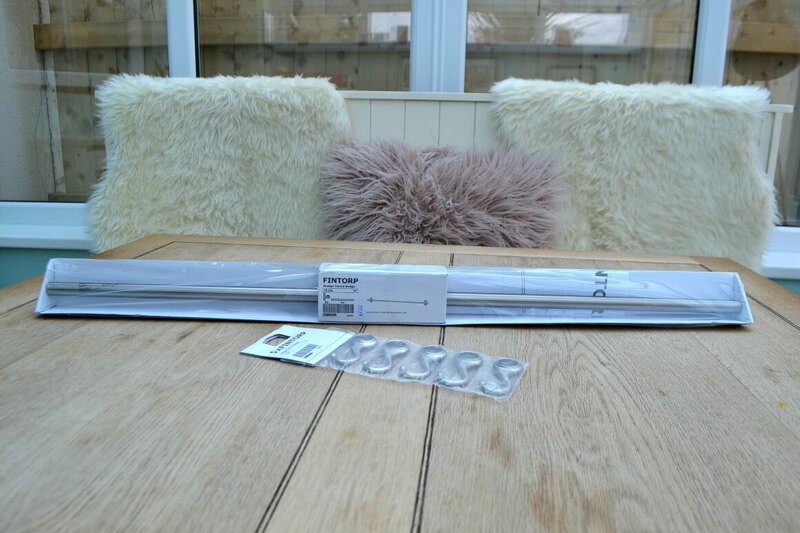 I bought the FINTORP rail and it cost £7. The hooks were extra at £3 for a pack of 5. 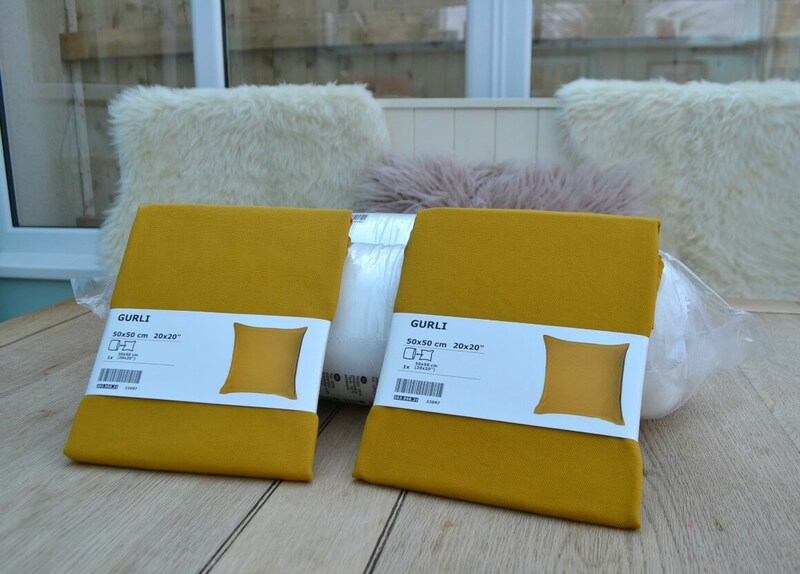 I chose these two mustard yellow cushions to go in our living room as they matched the cushions that I already have in there. The covers cost £1.75 and are made from renewable cotton. All of the cotton products in IKEA comes from more sustainable sources. This means that the cotton is either recycled or grown with less water, fewer fertilisers and fewer pesticides while increasing profit margins for the farmers. The inner cushion pads cost £1.50 each. 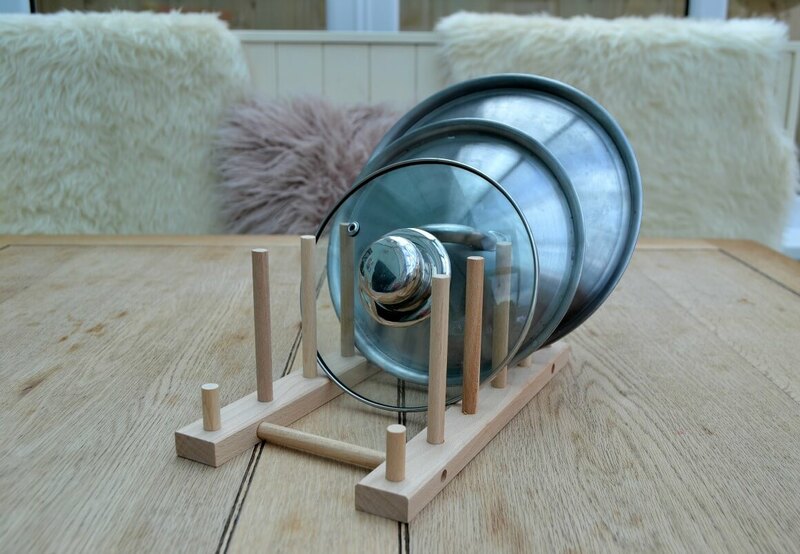 To store our pots & pans lids I also got one of these wooden plate organisers, made from beech. It cost £2. The last thing I bought was 2 large black picture frames for above our bed. I recently bought two wall prints and just needed some frames for them to go into. I haven’t got those on the wall yet but when I do I’ll share a picture of them. In all, I really enjoyed my trip to the new IKEA in Exeter and look forward to visiting again soon! If you’re local to the area why not visit the store for yourself? 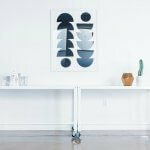 You can find it at 1 IKEA Way, Exeter, EX2 7RX. Disclosure: This is a collaborative post with IKEA. I was sent vouchers to spend in store for the purpose of this post. As always, all thoughts and opinions are my own. 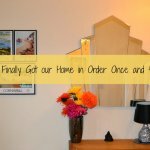 How I Finally Got our Home in Order Once and for All!